Set includes terminals for engines with early type (socket) and late type (HEI “spark plug top”) distributor caps. Multi-angle boots and terminals factory installed on one end. 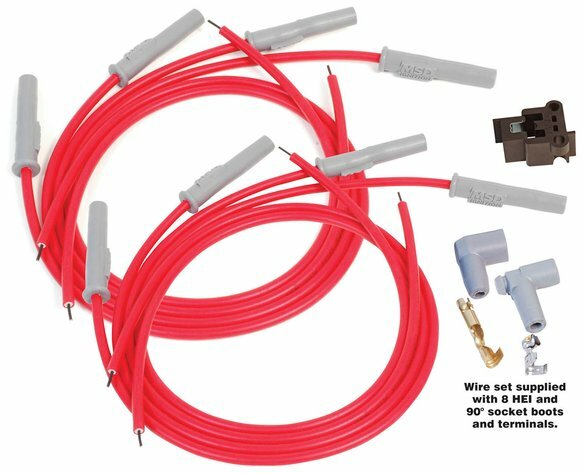 Supplied with two 56”, two 50”, two 48” and three 32” wires.